My husband proposed to me on a chilly morning while vacationing in London. We were standing on the wall of the Tower of London with no one around and just as the sun started to peek out behind the clouds over the Tower Bridge and the Thames, I had the surprise of my life. No sooner than when I said “I do,” did we hear the pop of a champagne bottle as we were poured celebratory glasses and were given a private tour by a Yeoman Warder. Caitlin had the perfect wedding day. In choosing a wedding dress, I dreamt of capturing the same romantic feeling of that morning. Living in Virginia and planning a wedding in Washington, I searched several bridal stores until I found the perfect gown at Pearls and Lace in Burien, Washington. 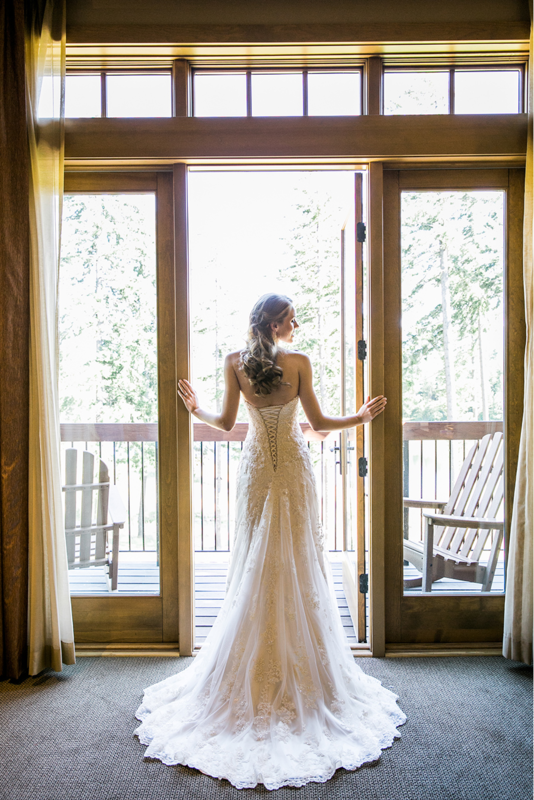 Our ceremony and reception were held in the beautiful Cascade Mountains at Suncadia Resort. The gown “Emma” by Maggie Sottero in a light gold hue was the perfect combination of romance and elegance for our outdoor mountain wedding. The sweetheart neckline and corset back with a cascade of beaded lace was truly my dream gown that added to the fabulous beginning of our new life as husband and wife. Caitlin’s wedding dress was the perfect reflection of the proposal. 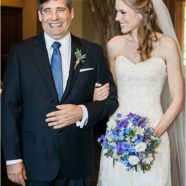 Caitlin described her July wedding as “a dream.” With her mom making most of the decorations and friends and family going out of their way to make the day special, Caitlin is so glad that she and her husband David could share it with their loved ones. Gorgeous dress! I love Maggie Sottero’s designs. Thanks for sharing!